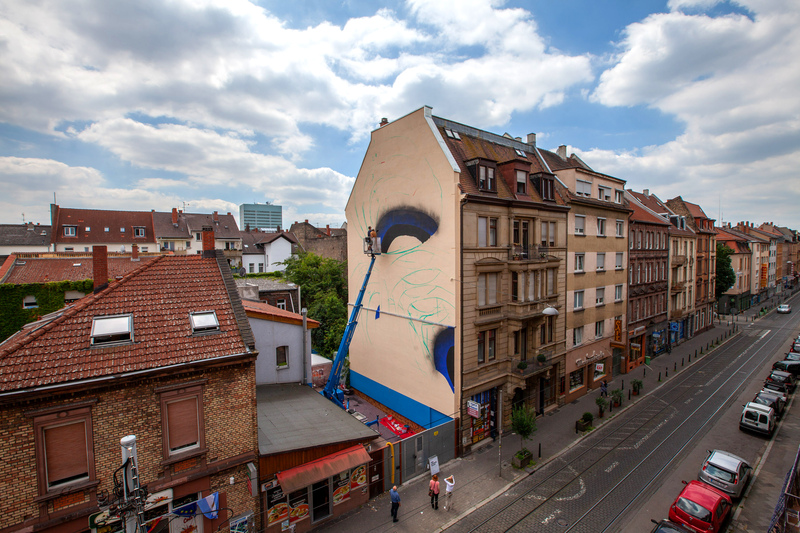 Polish born, Hamburg resident artist 1010, was recently featured in the SWK festival in Mannheim, Germany. Famous for his illusionary portals, 1010’s images draw us back into a space that doesn’t exist. At least not in real form. With years of practice and countless Montana GOLD and Montana BLACK cans emptied, with a little assistance from emulsion paint and a well plotted first coat, 1010 made this 5 storey house facade in Mannheim come alive with color and dimension. To celebrate the creation of the mural, Gallion Film captured the mural’s “making of”, which takes us through the path walked by 1010 and his assistant. With a diverse set of tools and application methods, the relatively simple looking murals are actually a complex system of calculated layering so that one color leads into the other. 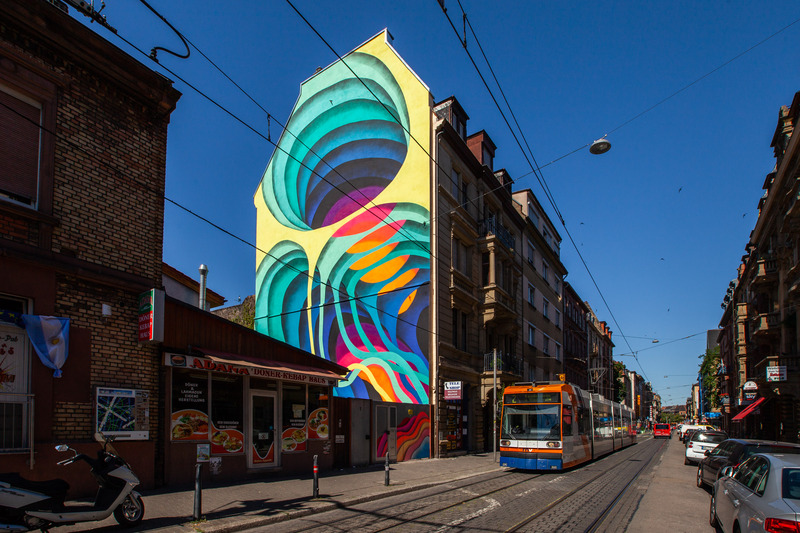 Take a look here at how the partnership between Alte Feuerwache, GBG Mannheim and MontanaCans makes public art in Mannheim happen.